I have shared on here off and on about my treatment plan. My treatment plan has drastically changed after leaving the hospital. This is partly due to my liver and partly my doctors just being a bit annoying. I have been pulled off of Methotrexate and Benlysta. Right now my main medication is Prednisone. I have decided to do a small series of Prednisone blog posts, hopefully someone will find it helpful. Prednisone, it is almost always a love- hate relationship. It is unclear which is better being on it or not. There are an abundance of harsh side effects, yet it is a life savior. 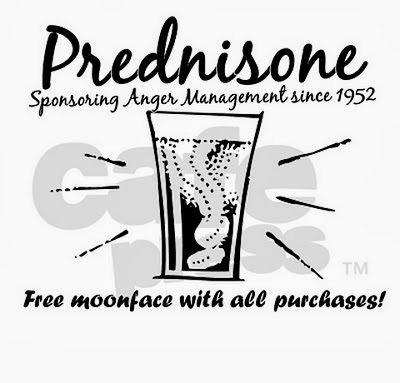 Most Spoonies know of Prednisone, for those who don’t, I will give you a brief overview. 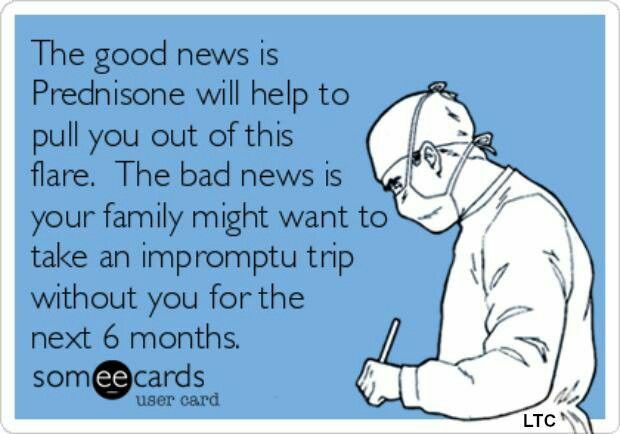 By definition Prednisone is, “an analogue of cortisone,used as an anti-inflammatory,immunosuppressive, and antineoplastic in the treatment of various diseases.” Put simply, Prednisone is a steroid. The body naturally makes low amounts of steroids it is also classified as hormones. This steroid is not the same type that well known people such as sports players or movie stars take. 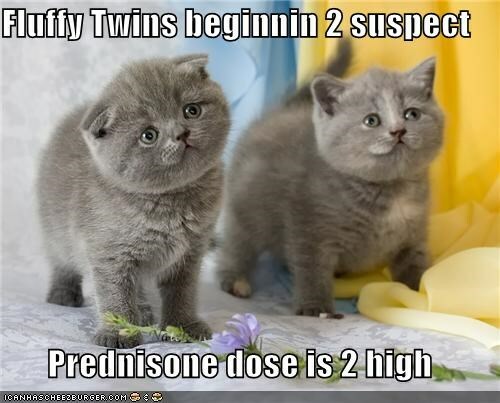 Prednisone should be a fast acting medication. It is used for countless illnesses arthritis, blood disorders, breathing problems, severe allergies, skin diseases, cancer, eye problems, immune system disorders and additional illnesses. There is a side effect overload when looking at Prednisone. The side effects range from irritating to utterly devastating. Some ‘mild’ side effects include: Abnormal Fat Distribution, Absence of Menstrual Periods, Acne, Disorder involving Personality Changes, Excessive Hairiness, Excessive Sweating, Feel Like Throwing Up, Moon Face, Visible Water Retention, and Weight Gain. More serious side effects include: Seizures, Infection, Low Amount of Calcium in the Blood, Thin Fragile Skin, and Anemia. Most people experience at least one side effect while on Prednisone. Every encounter with Prednisone is different. It is a difficult medication to be on. Many times it alters someone’s personality and how they look. Coping with side effects is a challenge. It is meant to be used short term, but that is not always the case. Check back this month for more Prednisone posts. I will be sharing my personal experience and talking about how to cope with Prednisone.